Introducing the ultimate boy band, performing the ultimate set of 1960s classics. Give a warm welcome to the lads who have just completed an awesome UK tour and filled every venue to bursting point. 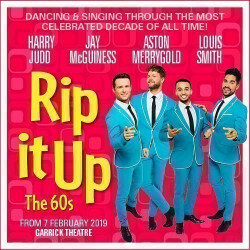 It's Rip It Up 2019, and it's on at the West End's Garrick theatre in early 2019. Here's to the 1960s! 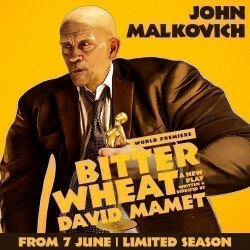 Introducing Bitter Wheat, a new play by David Mamet. This marks the first time the awesomely quirky, hugely talented John Malkovich has been on the London stage for 33 years, an event in itself. The playwright is a Pulitzer Prize winner with an impressive collection of stage hits under his belt. The signs are all looking good. Don't miss Bitter Wheat, a thoroughly modern play with a dark heart. The Grade 1 listed Garrick Theatre is a magnificent building from the late 1800s complete with impressive pillars, a row of lovely round windows along the top and an impressive entranceway. Inside its luscious crimson walls and classical Greek-inspired circle decorations, all beautifully preserved, give it a real feel of theatrical tradition, a bit like going back in time. David Garrick, after whom the Garrick is named, was a famously successful actor and manager in the 1700s who first came to London as a wine seller but soon found his spiritual home in the theatre, keeping a special place in his heart for the plays of William Shakespeare. Commissioned by one W.S. Gilbert and designed by architect Walter Emden, the man behind the Duke Of York's theatre, in collaboration with C.J Philips, the Garrick Theatre was built specially for the well known and loved actor-manager John Hare in 1889. Once upon a time a river flowed beneath the site, which caused all manner of problems when the building was being built. These days the Underground has replaced the long-lost river so you’ll be safe and dry! The interior décor is stunning, with pretty balcony fronts featuring cupids holding laurel-leaf decorated shields, a portrait of the famous actor Garrick and a bust of Shakespeare. Unusually, the Garrick’s dressing rooms are completely separate from the auditorium and actors have to navigate a spooky underground tunnel to reach the stage. The Garrick saw various management teams come and go before shutting down between 1939 and autumn 1941. After the war, in 1947, the popular actor, singer and dancer Jack Buchanan took over and put on a series of very successful comedies. It was refurbished extensively in ‘65 and ’66, then again in 1986, when Carl Toms the expert stage designer restored the auditorium, at the same time giving the exterior a badly-needed face lift. 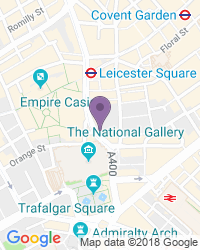 Over the decades the Garrick Theatre has been home to numerous household name actors including Dame Judi Dench, Rupert Everett, Christian Slater, Matt Damon, Casey Affleck and even Summer Phoenix. A Mr Arthur Bourchier, a previous actor and manager at the Garrick who hated critics, apparently haunts the back of the theatre. He often appears after a performance and makes his presence felt by tapping unsuspecting people on the back! 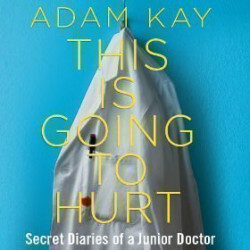 Previous productions at the Garrick Theatre include the wonderful Death Trap, Mr and Mrs Nobody, The Vortex, This is Our Youth, One Flew over the Cuckoo's Nest, Jeffrey Bernard is Unwell, Amy's View and Bad Girls the Musical. Plus Derren Brown Mind Reader, Zorro - The Musical, The Little Dog Laughed and All The Fun of the Fair Starring David Essex, The Gruffalo, Pygmalion and The Go! Go! Go! Show. The Garrick provides access for wheelchairs and scooters. We’re a popular destination for a wide variety of seat types and prices, with excellent availability on the full range of Garrick Theatre tickets.